A material can transfer heat through its thickness faster when the material is thinner. For most sputtering R&D guns, the thickness of the target is reduced to half when it is bonded to a backing plate because the gun has a maximum thickness allowance. 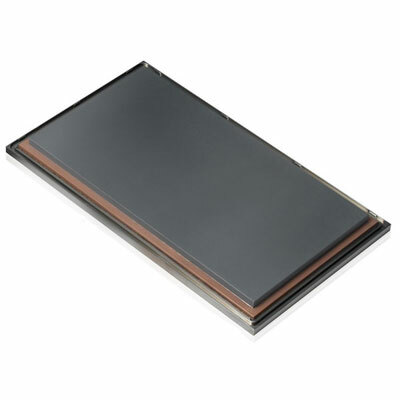 The copper backing plate comprises the other half of the thickness. The thinner target can cool more effectively than a thicker target because the distance that the heat generated on the surface of the target has to travel to reach the cooled side is reduced. 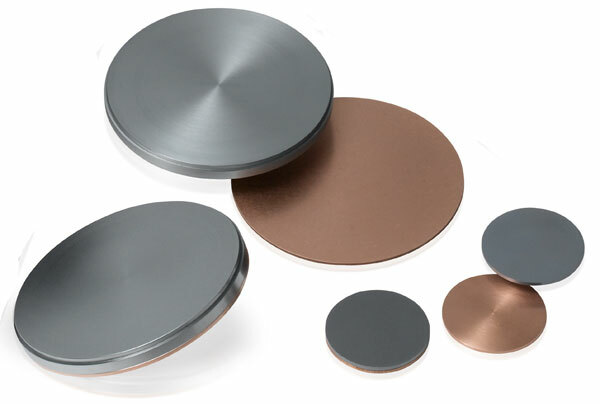 Indium is the preferred method for bonding sputtering targets because it has the best thermal conductivity of all available bonds and is the most efficient at drawing heat away from the target. 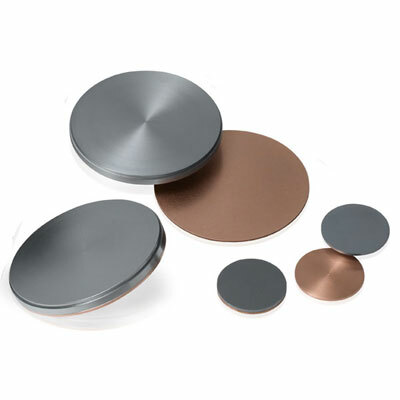 Indium is also more malleable than other bonding solders and therefore it is more forgiving. The softer solder allows some "give" when the target expands at a different rate than the backing plate. 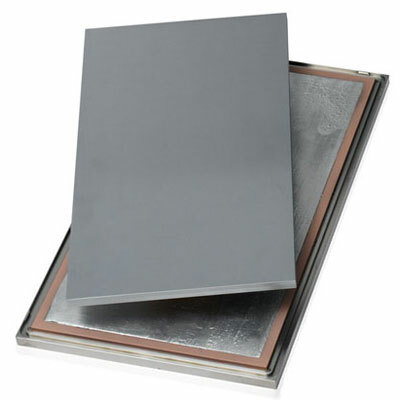 This reduces cracking that is caused by mismatch in the thermal expansion coefficients of the target and backing plate. 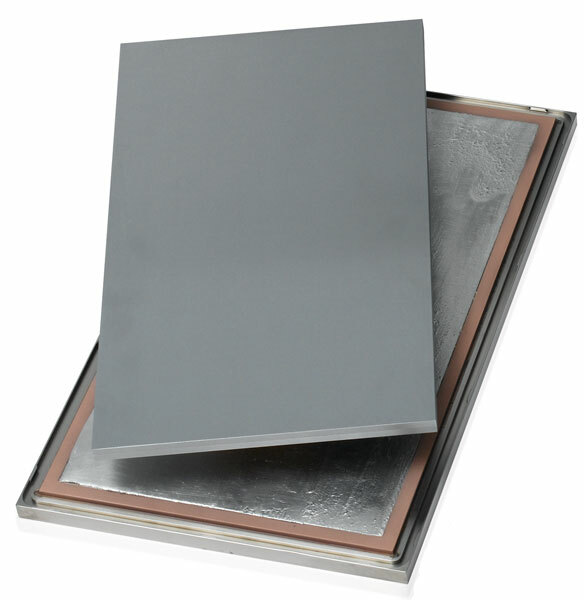 The main limitation of the indium bond is the melting temperature of the indium solder. Indium has a melting point of 156.6°C so temperatures in excess of 150°C will cause the bond to melt and fail. 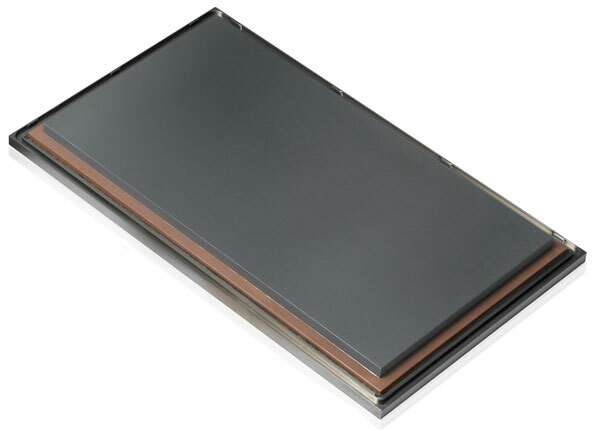 Most materials can be indium bonded but there are a few exceptions. Bond Line Thickness 0.010" ± 0.003"
Click for a downloadable datasheet on the Indium Target Bonding Service.